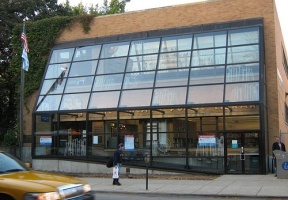 Mayor Rahm Emanuel, 44th Ward Alderman Tom Tunney and Chicago Public Library Commissioner Brian Bannon announced the renovation and modernization of the approximately 15,000 square-foot Merlo Branch Library, located at 644 W. Belmont Avenue. Investments will be made to the facility, and in library programming to provide a modern, state-of-the-art branch to the Lakeview community. Improvements also include an early learning play space for children, a dedicated teen space, additional seating, additional meeting and study spaces and refreshed collections. The Merlo Branch will have digital skills training available to patrons of any age through the Library’s CyberNavigator program. 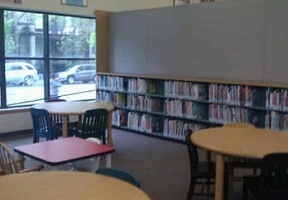 Merlo Branch renovations, which will be managed by the Public Building Commission, will provide the neighborhood with a modern library space that continues to serve as an essential community anchor, providing critical services and resources to meet a variety of local needs. Pending PBC board approval, the branch will be designed by Ross Barney Architects.